The All Progressives Congress (APC) has accused the Peoples Democratic Party (PDP) of politicising the deaths of Nigerian soldiers in the recent Boko Haram attack on the Army base in Metele, Borno State. The ruling party also dismissed the allegation levelled against it by the PDP that it had diverted military funds to finance the 2019 election campaigns, describing such allegation as frivolous. PDP had while lamenting the recent killing of Nigerian soldiers by Boko Haram terrorists in Metele, blamed the APC-led federal government of mismanaging funds meant for the procurement of weapons for the war against the insurgents. 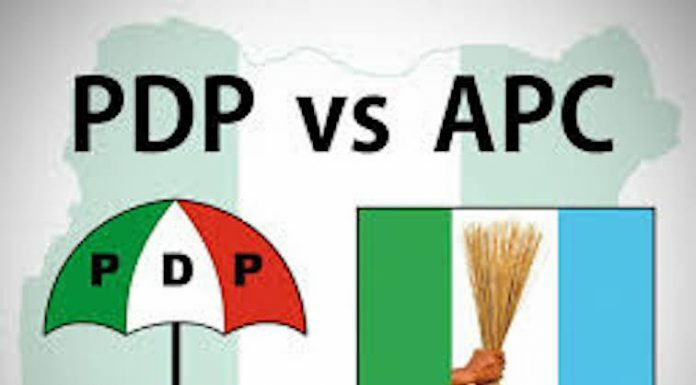 But in a statement issued Tuesday by its National Publicity Secretary, Mallam Lanre Isa-Onilu, APC said it would not go into the retrogressive practices the PDP was notorious for during its defunct rule. â€œGod forbid that the APC inherits and apply such morbid practice as brazenly displayed during the immediate-past PDP administration where funds allocated to fight the Boko Haram insurgency in the North-east were shared among PDP leaders and their cronies. APC said it is clear that the PDP and its presidential candidate, Alhaji Atiku Abubakar, have decided to politicise the death of the soldiers in the hands of the terrorists at the Metele base. The party said PDP and Atiku are playing desperate politics using the blood of fallen heroes as a fair game. â€œTheir actions are callous and insensitive to the families and dependants of the late soldiers and indeed our military which battles daily to ensure our territorial integrity. â€œNigerians see through PDPâ€™s ploy to score political points as elections approach and it will surely backfire,â€ it said. APC expressed its sympathy over the death of the military and other security personnel who have lost their lives in the line of duty. It urged the Armed Forces to remain focussed on the brave task of securing the nation. â€œThe President Muhammadu Buhari-led APC administration remains solidly committed to bringing a lasting peace and security to all parts of the country and ensuring that previously displaced persons are rehabilitated to resume their normal and productive lives,â€ it said.